Sugarcane is a tropical grass and one of our main sources of sugar. It actually produces a higher yield of sucrose, plant sugar, than beets, but because it is a tropical plant, it has a limited growing zone. In the United States, sugarcane is grown in Hawaii and Florida. Australia, Egypt, Java, India, the Philippines and Cuba are other nations that grow this sweet crop. Sugarcane grows to an average of 14 feet and takes at least 12 months to mature. 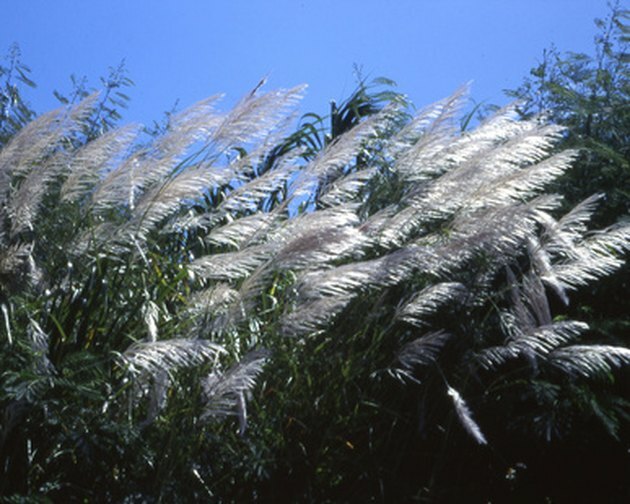 When left to flower, sugarcane produces large plumes. Sugarcane stalks are made up of several segments known as joints. At each joint is a node. Nodes are points where the leaves attach. In between the nodes are long sections called internodes. The stem is filled with vascular bundles and is the storage center for the sucrose, or sugar. These bundles are protected by thick cell walls and a layer of wax. The leaves are long and thin, fuzzy on the underside and smooth on the top. They sprout from the nodes and then grow to wrap themselves around the stem. 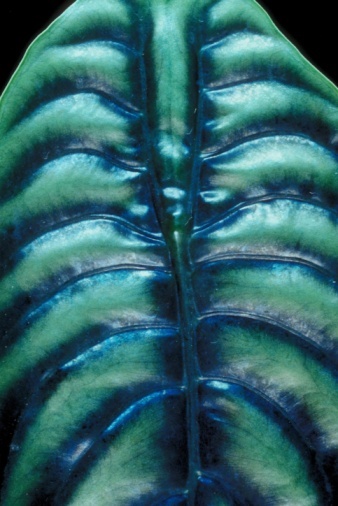 The sheath is the part that circles the stem and makes up about one-third of the leaf. The remainder is the blade, the part that flops over like your typical blade of grass. Photosynthesis is the process where plants take carbon dioxide and water and produce sugar and oxygen. This process takes place in the leaves. Sugarcane, like all plants, does this by using the heat of the sun and a green substance in the plant cells called chlorophyll. Sugarcane has a typical grass-like root system that is just below the surface and has many fibers. In addition, as the plant matures, it sends down anchor roots that can penetrate the earth between 16 and 22 feet deep. Known as buttress roots, they not only support the plant, but pull up large quantities of water from a wide area. Sugarcane allowed to flower produces less sugar because the plant switches its focus from making energy for storage to making energy for reproduction. Commercial sugarcane is usually planted using shoots or cuttings. The plant does produce large plumes, each consisting of thousands of tiny flowers. If these happen to pollinate, the combined flowers turn into one big plume of fuzzy sugarcane seeds that are dispersed by the wind.